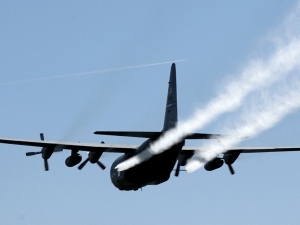 They said that is perfectly normal for spraying operations. Did BP’s oil-dissolving chemical make the spill worse? BP succeeded in sinking the oil from its blown well out of sight — and keeping much of it away from beaches and marshes last year — by dousing the crude with nearly 2 million gallons of toxic chemicals. But the impact on the ecosystem as a whole may have been more damaging than the oil alone. The combination of oil and Corexit, the chemical BP used to dissolve the slick, is more toxic to tiny plants and animals than the oil in most cases, according to preliminary research by several Florida scientists. And the chemicals may not have broken down the oil as well as expected. Scientists reported some of their early findings last week at a Florida Institute of Oceanography conference at the University of Central Florida. The researchers were funded a year ago through a $10 million BP grant. The initial findings require more research for scientists to reach definitive conclusions. But scientists said they were struck by the studies so far. They added BP oil to a jar of sea water and saw all the oil float to the top. After adding a little Corexit to the mix, the entire bottle of water turned the color of dark coffee. In theory, the chemically dissolved oil should be a feast for bacteria that would break down some of the most harmful products in the oil. 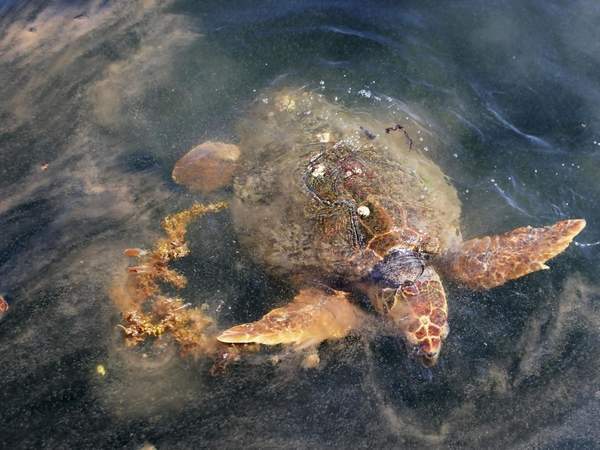 But the Corexit may not have done its job properly, said Wade Jeffrey, a biologist with the University of West Florida’s Center for Environmental Diagnostics and Bioremediation. Additionally, the Corexit and oil mixture tends to be more toxic to phytoplankton — tiny microscopic plants — than the oil itself. Jeffrey subjected water samples, mostly from the Pensacola region, to heavily diluted concentrations of oily water and oily water mixed with Corexit. Most of the time the mix of Corexit and oil was more toxic to the phytoplankton in the sample than oil alone. Additionally, the Corexit did not prompt the oil-eating bacteria in the samples to gobble the oil any faster. Jeffrey worked with a concentration of 1 part per million of oil and a tenth of that concentration for Corexit. Higher doses of oil killed the phytoplankton immediately, leaving Jeffrey with nothing to observe. To see whether Corexit is more effective at breaking down larger concentrations of oil, Jeffrey plans more experimentation without the phytoplankton. A similar study showed toxic effects of oil and Corexit on larger species, including conch, oysters and shrimp. Susan Laramore, assistant research professor at Florida Atlantic University’s Harbor Branch Oceanographic Institute, used somewhat degraded oil from tar mats collected by the Florida Fish and Wildlife Research Institute to conduct her research. Not all of the results are in, but early evidence shows the oil and dispersant mixture to be more toxic than the oil alone. “These results are backwards of what the oil companies are reporting,” Laramore said. The findings raise questions about whether the federal government should have let BP use so much dispersant on the oil. The Environmental Protection Agency tried to force BP to use a less damaging product, but no other product was available in sufficient quantities. The dispersant effectively kept a great deal of the oil at sea, where it was not easily visible to the public. Although as much as half the oil that spewed from the well — 186 million to 227 million gallons — is unaccounted for, plenty of it still washed ashore, from the border of Texas to the Florida Panhandle. Reports and videos taken last week by scientist Dana Wetzel of Sarasota’s Mote Marine Laboratory also show that the marshes of Louisiana’s Barataria Bay remain heavily choked in oil. Evidence also is growing that the Corexit did not degrade as promised. A study in January by scientists at Woods Hole Oceanographic Institute in Massachusetts indicated that Corexit applied at the well-head — some 800,000 gallons — did nothing to break up the oil and simply drifted into the ecosystem. FIO researcher Wilson Mendoza similarly has found potential evidence that Corexit remains in the environment much longer than expected. Wilson, a doctoral candidate at the University of Miami’s Rosenstiel School for Marine and Atmospheric Science, is developing a fingerprint for the BP oil and the Corexit. In testing 75 different water samples taken from around the Gulf of Mexico, some contained signatures identified for both the oil and the Corexit a year after the spill. Mendoza is running another test, using equipment that can analyze substances at a molecular level to verify the findings. “If some of the other teams found out that Corexit is actually toxic and if it’s still there after a year, then I suppose it could cause environmental problems to a lot of organisms in the Gulf of Mexico,” Mendoza said. Vapour trails caused by jet aircraft over Britain can cause clouds covering 20,000 square miles, according to Met Office research, reducing sunshine by up to 10 per cent. Analysis of contrails from one large military aircraft circling over the North Sea showed the creation of a thin layer of cloud that, at its peak, covered an area of more than 20,000 square miles. The Met Office research suggests the collective impact of hundreds of vapour trails can cause a blanket of thin cloud, reducing sunshine for millions who live under busy flight paths. Contrails, which are clouds of condensed water vapour and soot particles made by the exhaust of jet engines, sometimes disperse within minutes but can also be present in the sky for many hours. They can also act as a catalyst for the formation of further wispy cirrus cloud. Globally, vapour trails are thought to cut sunshine levels by less than one per cent, but this figure could rise to 10 per cent in areas under busy air corridors, such as the south-east of England, according to The Sunday Times. The findings echo 2003 research, led Patrick Minnis at NASA’s Langley Research Centre in Virginia, that said contrails “already have substantial regional effects where air traffic is heavy” and that the impact “may become globally significant” because of the growth in air travel. The Met Office analysis was based on observations of a single military Awacs aircraft circling over the North Sea on a sunny day earlier this year. Researchers had expected high-level winds to disperse its contrails but instead they appeared to attract more clouds that continued to grow as they were blown southwards until eventually they formed a hazy high-level blanket of cirrus cloud across southeast England. It is thought that low temperatures at high altitudes can cause ice crystals in the vapour to act as ‘nuclei’ for condensation of more water, resulting in more cloud. Mr Haywood said aviation-induced cirrus clouds had both a cooling effect, because of sunlight reflected back into space, and a warming effect, because of trapped heat. “Studies show that, overall, the warming effect is stronger so aviation-induced clouds are helping to warm the planet,” he said. Mysterious, glowing clouds previously seen almost exclusively in Earth’s polar regions have appeared in the skies over the United States and Europe over the past several days. Photographers and other sky watchers in Omaha, Paris, Seattle, and other locations have run outside to capture images of what scientists call noctilucent (”night shining”) clouds. Formed by ice literally at the boundary where the earth’s atmosphere meets space 50 miles up, they shine because they are so high that they remain lit by the sun even after our star is below the horizon. The clouds might be beautiful, but they could portend global changes caused by global warming. Noctilucent clouds are a fundamentally new phenomenon in the temperate mid-latitude sky, and it’s not clear why they’ve migrated down from the poles. Or why, over the last 25 years, more of them are appearing in the polar regions, too, and shining more brightly. Nobody knows for sure, but most of the answers seem to point to human-caused global atmospheric change. Noctilucent clouds were first observed in 1885 by an amateur astronomer. No observations of anything resembling noctilucent clouds before that time has ever been found. There is no lack of observations of other phenomena in the sky, so atmospheric scientists are fairly sure that the phenomenon is recent, although they are not sure why. Over the last 125 years, scientists have learned how the clouds form. At temperatures around minus 230 degrees Fahrenheit, dust blowing up from below or falling into the atmosphere from space provides a resting spot for water vapor to condense and freeze. Right now, during the northern hemisphere’s summer, the atmosphere is heating up and expanding. At the outside edge of the atmosphere, that actually means that it’s getting colder because it’s pushed farther out into space. It’s not hard to see how a warming Earth could change those dynamics: as the globe heats up, the top of the atmosphere should get colder. “The prevailing theory and most plausible explanation is that CO2 buildup, at 50 miles above the surface, would cause the temperature decrease,” Russell said. He cautioned, however, that temperature observations remain inconclusive. The global changes that appear to be reshaping noctilucent cloud distribution could be much more complex, said Vincent Wickwar, an atmospheric scientist at Utah State University whose team was first to report a mid-latitude noctilucent cloud in 2002. Temperature does not explain their observations from around 42 degrees latitude. They don’t really have an answer yet. Other facilities around the world with similar LIDAR capacity haven’t reported similar waves. And the Rocky Mountains, near Wickwar’s lab, can cause atmospheric waves, which could be a special feature of his location. 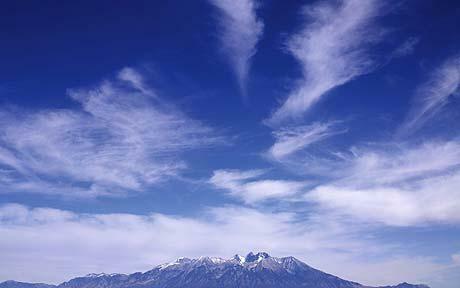 Other theories abound to explain the observed changes in the clouds. Human-caused increases in atmospheric methane, which oxidizes into carbon dioxide and water vapor, could be providing more water for ice in the stratosphere. Increases in the amount of cosmic or terrestrial dust in the stratosphere could also increase the number of brightly shining clouds. Two years into Russell’s NASA project, more questions exist than firm answers. They will have at least three and a half more years, though, to gather good data on upper atmospheric dynamics. The recent observations of noctilucent clouds at all kinds of latitudes provide an extra impetus to understand what is going on up there. Changes are occurring faster than scientists can understand their causes. High-altitude aerosols, different from the ones found in spray cans, can play a big role in climate. Not every crazy idea, say dropping out of Harvard to start a software firm, is a bad one. But you don’t have to be Bill Gates to place your bets that way. Consider atmospheric geoengineering — pumping reflective particles into the stratosphere to reflect sunlight — seen as a way to cut the effects of global warming. In 1991, the eruption of Mt. Pinatubo in the Philippines cooled the atmosphere’s average temperature worldwide almost one degree Fahrenheit, a kind of “global dimming,” serving as an inspiration for the idea. Such high-altitude aerosols, different from the ones found in spray cans, can play a big role in climate. A 2006 paper in the journal Science, for example, written by the eminent atmospheric scientist Tom Wigley of the National Center for Atmospheric Research, suggested that annually blasting roughly 500,000 tons of sulfur (about 7% of yearly sulfur production) into the stratosphere every year for three decades would prevent global warming. But there is that acid rain issue. Earlier this month, White House science adviser John Holdren found himself at the center of a brouhaha over remarks to the Associated Press that geoengineering of all sorts was “mentioned” as the administration pondered means of limiting global warming. Holdren later downplayed geoengineering schemes, after news stories appeared linking atmospheric geoengineering to drought, ozone depletion and acid rain, among other concerns. A pair of recent papers point to some unintended consequences of atmospheric geoengineering, ones that add to the sense that it might not be such a good idea. In a study in the journal Environmental Science and Technology, federal scientist Daniel Murphy of the National Oceanic and Atmospheric Administration looked at what stratospheric aerosols would do for solar cells and mirrored solar power collectors. He turned to 1991 data from the Mt. Pinatubo eruption for an answer. In the study, calculations of sunlight scattering combined with records from Hawaii’s Mauna Loa observatory showed that for every one watt’s worth of sunlight reflected away from Earth by stratospheric aerosols, another four watts were converted from direct sunlight to diffuse sunlight. Such sunlight is bad news for the large power-generating solar collectors that rely on mirrors to concentrate power. Even though total direct sunlight fell only 3% in 1991, power generated by these collectors dropped by 20%. “It turns out that any systems using mirrors to concentrate direct sunlight are much more sensitive than one-for-one,” Murphy says, by e-mail. “Among all of the possible side effects of geoengineering, the effect on solar power is probably not the most important. It is one of the most certain,” Murphy adds. A second paper, out Sunday in the journal Nature Geoscience, points to another problem with stratospheric aerosols. “We are really uncertain about their role in the climate system,” says study lead author Dan Cziczo of Pacific Northwest National Laboratories in Richland, Wash. Ice condenses around aerosol particles, a process that scientists know leads to high-flying cirrus clouds. Those clouds in turn reflect sunlight, a cooling effect in the global warming equation. In a series of field measurements of ice crystals combined with cloud chamber experiments, Cziczo and colleagues found that lead makes a great ice condenser in stratospheric aerosols, a first report of this effect. “Most of the lead in the atmosphere is not natural,” Cziczo notes, but was spewed out in leaded gasoline in previous decades and is still used in light aircraft engines. Lead is one of the worst pollutants of the industrial age, linked to lowered intelligence scores, nerve damage and high blood pressure, among many other ills. But plugging lead into a series of climate models, the Nature Geoscience study shows that high stratospheric lead levels would lead to ice clouds whose sunlight reflection would cut current global warming in half. “These are the kinds of emissions we might have seen in the late 1970’s,” Cziczo says. In past decades, lead pollution may have helped keep global warming at bay. Some of the military’s leading scientific advisers are looking into the idea of remaking the planet’s environment, to stave off global warming. The idea of “geoengineering” — hacking the Earth’s climate, to prevent more radical changes — has been kicking around the scientific fringes for years. One scheme calls for adding iron to the ocean, to stimulate the growth of greenhouse gas-absorbing algae. Another for “loading the skies” with sulfate particles that “act as mini-reflectors, shading out sunlight and cooling the Earth.” A third, “covering the Arctic with dust.” Most mainstream climatologists have responded to the proposals with a combination of snickers and horror; the environment is such a chatoic system, they argue, that there’s no telling what such wholesale monkeying around with it will do. In recent months, however, several “top institutions have launched efforts to study the subject,” the ScienceInsider blog notes. The Pentagon’s secretive JASON scientific panel is schedule to discuss geonengineering soon. The National Academies are hosting a workshop over the summer. The U.K. Royal Society should have study out by then, too. The Defense Sciences Research Council, which advises Pentagon premiere research arm Darpa, is meeting today at Stanford University to explore geoengineering. But at least one of the scientists that’s scheduled to attend will be arguing against planet-hacking, not in favor of it. “The last thing we need is to have Darpa developing climate-intervention technology,” Ken Caldeira of the Carnegie Institution for Science tells ScienceInsider. He says he agreed to go to the meeting “to try to get Darpa not to develop geoengineering techniques. Geoengineering is already so fraught with social, geopolitical, economic, and ethical issues; why would we want to add military dimensions?” He adds, however, that he would support Darpa studying the topic in case an adversary were to use it. Darpa has been working on environmental issues for years — putting money into algae-based fuel and trash-based “bioplastics.” It’s part of a larger, far-flung, often-disjointed series of Pentagon initiatives to kick the fossil fuel habit, and reduce the military’s carbon footprint. Giant solar arrays, wind-powered bases, and garbage-munching generators in Baghdad are all part of the mix. We’ll see if a more radical global warming answer will soon be, too.